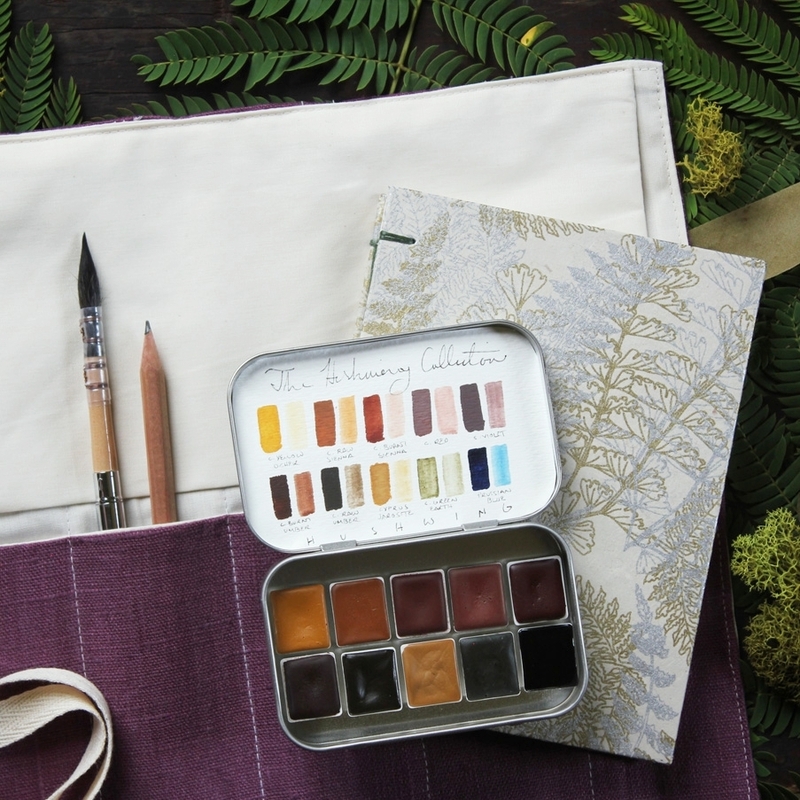 Explore our limited edition collection of artist's supplies! A collection of ten handmade watercolors, created with natural earth and modern pigments. A pair of watercolors made using the natural earth pigment Colonial Raw Sienna and the modern pigment Prussian Blue. A pair of watercolors made using rare natural earth pigments sourced from Cyprus. Our limited edition for summer 2018 included a variety of handmade brush rolls, wood palettes, and sketchbooks designed for artists. A collection of seven watercolors made with natural earth pigments from the United States. A sample card offering a pair of watercolors made with the natural earth pigment Colonial Raw Sienna and the modern pigment Prussian Blue. 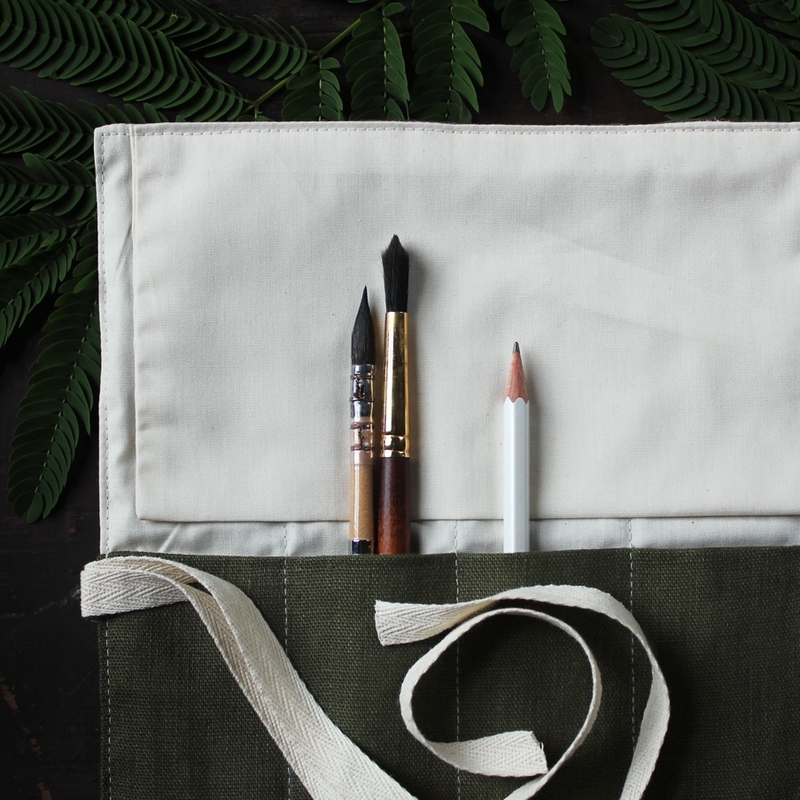 Versatile handmade artist’s rolls perfect for storage and traveling with your tools - from brushes to pencils or pens. Our limited edition for 2017 included a variety of handmade brush rolls and sketchbooks designed for artists. A set of three handmade watercolors selected for their versatility and exceptional pairing. A sample dot card offering a collection of 10 handmade watercolors, created with natural earth and modern pigments.